The recent death of Sudan, the last male northern white rhino, is the face of extinction, with his passing in Kenya sending tremors of heartbreak throughout the world. Hluhluwe-iMfolozi Park (HiP) in Zululand, once a global conservation success story for bringing the southern white rhino population back from the brink of extinction in the fifties, has now become a graveyard for rhino carcasses, with massacres executed regularly. 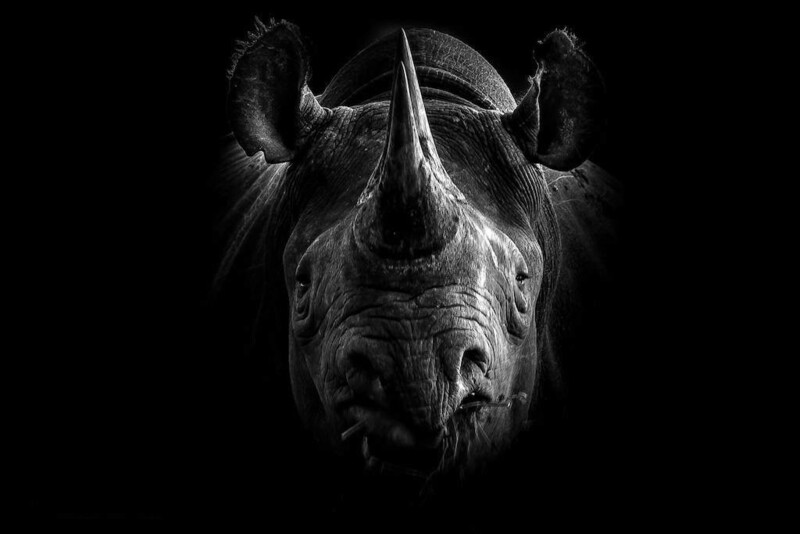 Last year the KwaZulu-Natal (KZN) province suffered a record loss of 222 rhinos butchered for their horns, most of them in HiP. And it’s only getting worse. 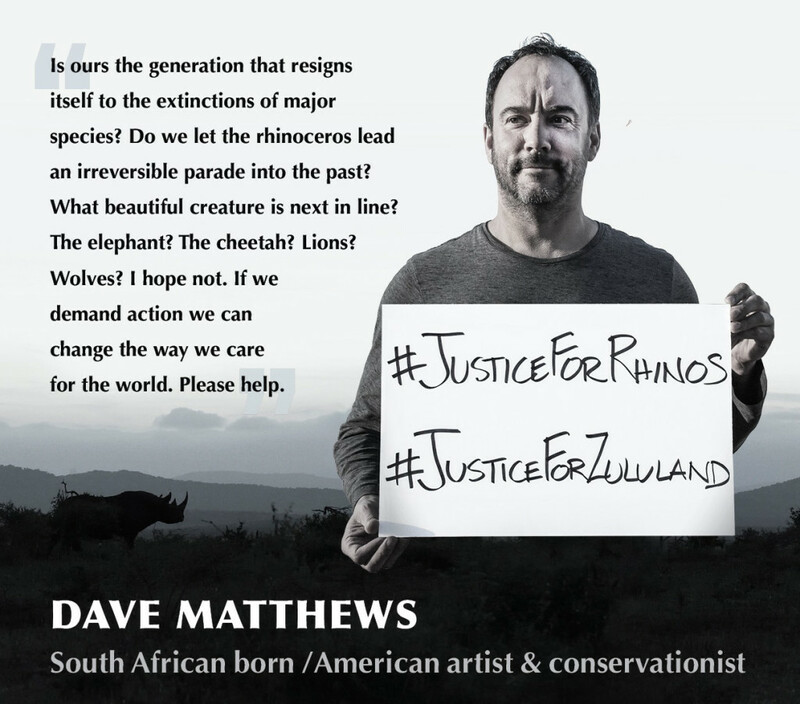 Will Zululand become the home of extinction? Even when arrests are made, few poachers ever go to jail. The law is not acting as a deterrent to this onslaught. On the contrary, Zululand is referred to as the “catch and release” province, because shortly after an arrest is made, the “justice” system releases them. 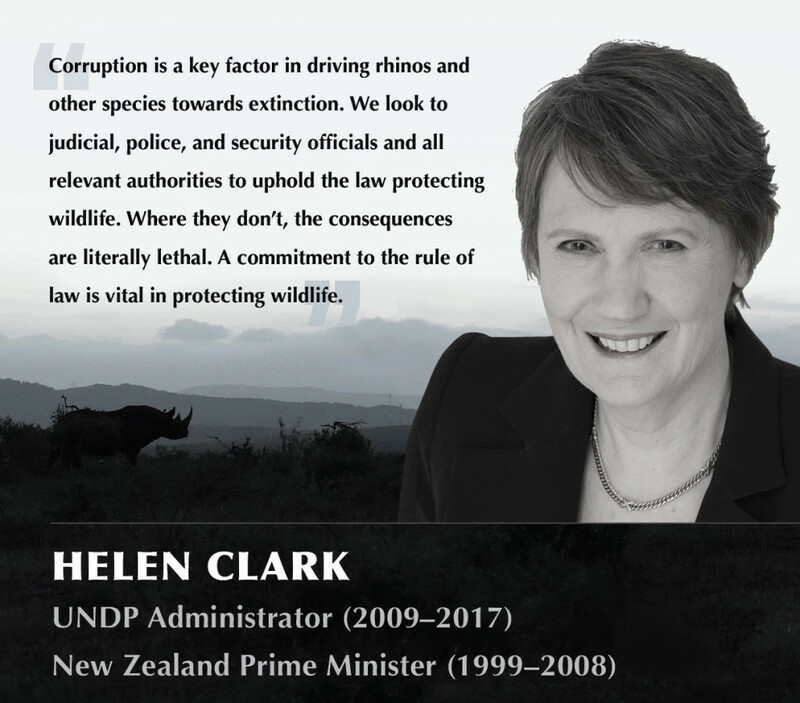 On 28 October 2017, Saving the Wild published the ‘Blood Rhino Blacklist’ expose, an alleged syndicate of magistrates and prosecutors protecting not only rhino poachers and kingpins, but rapists and other horrendous criminals. High ranking members of South Africa’s Parliament have since received further damning evidence to support these claims, and it appears there is a web of systematic corruption being ignored. Referring to the evidence in their possession, there appears to be a “definite system of command”, with the “shared intention of all role players to make a profit”. 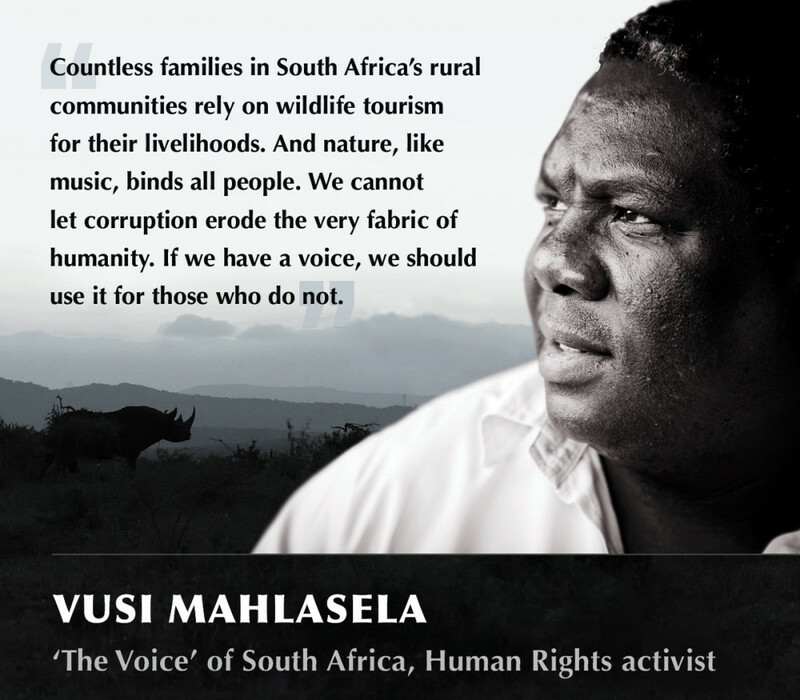 We commend the South African government for its commitment to bring an end to the slaughter of the iconic rhino, and ultimately save the livelihoods of countless families living in rural communities who rely solely on wildlife tourism to survive. However, no action has been taken against this grossly corrupt alleged syndicate of justice officials, and we are concerned that members of this syndicate are under political protection. South Africa’s National Prosecuting Authority has been in the spotlight for many years for failing to prosecute high level government officials, and we are now at the tipping point between extinction and a revolution. These animal issues are human issues. Over the past two years (2016 and 2017), the number of people directly employed by the tourism industry in KwaZulu-Natal was approximately 87 670, whilst the industry’s total contribution to employment was estimated at 200 466 during the same period. In terms of its contribution to GDP, KZN’s total contribution to national GDP (inclusive of both foreign and domestic) in 2015 was R20.4billion. As the rhinos tumble into extinction at a killing rate of three per day, South Africa’s elephants are now being targeted, and the domino effect of this back to back loss will cause devastating poverty and conflict for the people of South Africa. In November 2017, KZN Police Major-General Bala Naidoo (since retired) met with KZN Director of Prosecutions, Moipone Noko, and presented a police investigation into this alleged syndicate. DPP Noko expressed urgent concern, and yet five months later, there has been no visible progress. 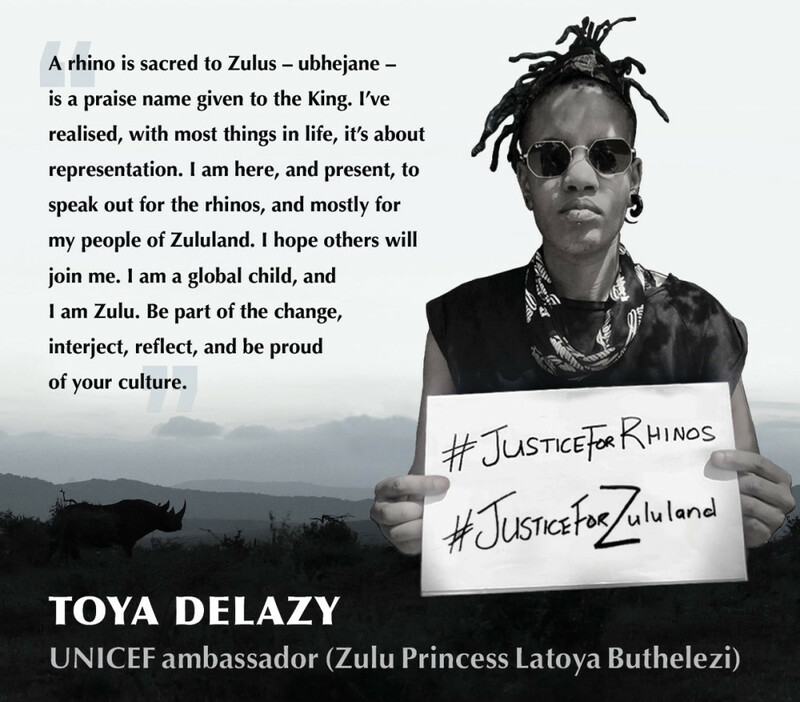 We urge the South African Government to take urgent action against the alleged syndicate of magistrates and prosecutors, to support the Magistrates Commission and the police in this investigation, and bring back justice to Zululand, home of the rhino and home of the great Zulu nation. Issued by Saving the Wild. To find out what happens next, follow the updates on Saving the Wild Facebook and Twitter. 22 APRIL UPDATE: FRONT PAGE NEWS OF SUNDAY TRIBUNE: GAME OVER FOR CROOKED MAGISTRATES? “There are presently criminal investigations being handled by the SAPS while we will deal with misconduct allegations. This makes things very complicated. We have two magistrates overseeing the investigations into Nzimande,” said Chris Barnard, Head of Magistrates Commission. South Africa’s Ministers have made a stand against the corruption. Read this breakthrough story here.